Stanford Advanced Materials (SAM) supplies high quality cobalt-based alloy powder (Co-Cr-W) with competitive price. Related products: Cobalt-based Alloy Powder (Co-B), Cobalt-based Alloy Powder (Co-Cr-Mo), etc. 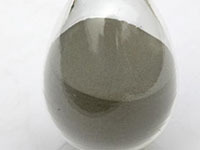 Cobalt-based alloy powder is produced by melting suitable amount of tungsten and carbon or molybdenum into the cobalt-chrome alloy for strengthening. As carbon has low solubility in cobalt, there will generate WC, W2C, W6C and other carbides, which keep the alloy maintain excellent intension and rigidity under high temperature (800°С).